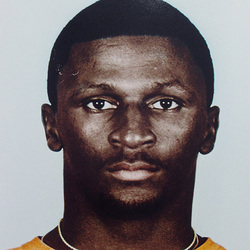 Bennie Blades, a native of Ft. Lauderdale, Florida, was a two-time first team All-American as a defensive back for the Hurricanes in 1986 and 1987. He was awarded the Jim Thorpe Award as the nations premier defensive back in his senior season. Blades holds the all-time interception record of 19 interceptions in a career, held, at the time, the interception return yards record (305), consecutive games with an interception (5), total tackles by a safety (286) and unassisted tackles by a safety (155). Bennie helped lead the Hurricanes to their second national championship in his senior year, 1987, when he was first in the nation in interceptions (.91) per game. In 1988 Bennie was the third overall pick in the first round of the NFL draft when he was picked by the Detroit Lions. Bennie was later traded to the Seattle Seahawks where he played with his brother Brain, a former U.M. wide receiver. Bennie had a stellar 10 year professional career and will always be remembered for his outstanding play in the Hurricane defensive backfield. Bennie was inducted into the College Football Hall of Fame in 2008 and the University of Miami Football Ring of Honor in 2009.